Climate change and security: here’s the analysis, when’s the action? 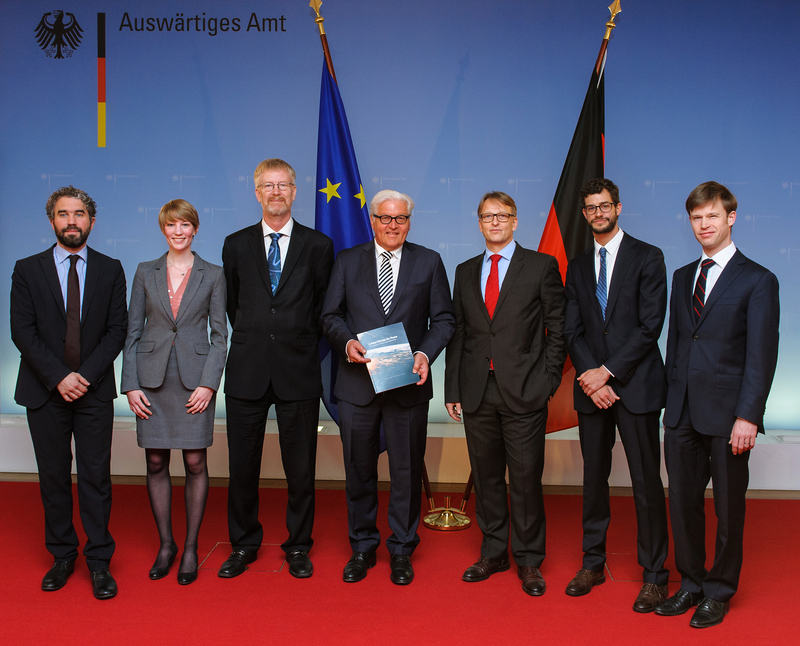 Last week’s communiqué from the G7 Foreign Ministers’ Meeting in Lübeck included a statement on climate change and security. In welcoming a report, A New Climate for Peace, to which my organisation International Alert contributed, the communiqué moves the issue forward and declares it to be worthy of high level political attention. Unfortunately, what is to be done is not so clear. 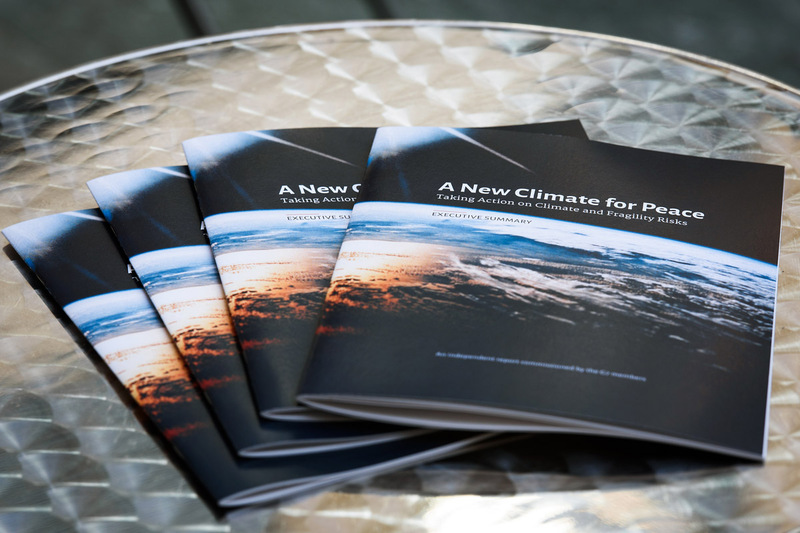 A New Climate for Peace, of which I am one of the co-authors, is a joint project of the Berlin-based think tank adelphi, International Alert, the Wilson Center in Washington, DC, and the European Union Institute for Security Studies. The full report comes out in May. The core message is that climate change is having a multi-faceted impact on many states, societies and communities. It exerts a pressure they cannot tolerate for long. Compound risks emerge as the impact of climate change interacts with other political, social and economic problems. Climate change makes it hard to build resilience in the state or even in local communities, while the fragility of the state makes it hard to adapt to the impact of climate change. To address this problem, a new approach is needed integrating sectors that are currently separate, energised by clear political leadership to develop international cooperation, based on dialogue about a shared challenge and shared goals. This is not a rehash of positions in the tired old controversy about whether climate change causes armed conflict. With this report, presented to the German Foreign Minister, and with the G7 Foreign Ministers’ welcome for it the next day, it is possible to say that the debate has decisively moved on. The issue, if we want some jargon, is human security and insecurity. A background of armed conflict or weak governance or political instability – or all in combination – in short, a situation of fragility is not conducive for building resilience against the negative impact of climate change. Likewise, the pressure of climate change makes the tasks of reconciliation, managing conflicts non-violently and building a peaceful state even harder than they are in the absence of that pressure. Local resource competition can lead, as pressure on natural resources increases, to instability and even violent conflict in the absence of effective dispute resolution. Livelihood insecurity is a likely result of climate change in some regions, which could push people to migrate or turn to illegal sources of income. Extreme weather events and disasters will exacerbate all the challenges of fragility and can increase people’s vulnerability and grievances, especially in conflict-affected situations. Volatility in the prices and availability of food, arising because climate variability disrupts food production, have well documented effects on the likelihood of protests, instability, and civil conflict. Transboundary water sharing is a source of either cooperation or tension, but as competition sharpens due to increasing demand and declining availability and quality of water, the balance of probability tilts towards increased tension and conflict. Sea-level rise and coastal degradation will threaten the viability of low-lying areas, with the potential for social disruption and displacement, while disagreements over maritime boundaries and ocean resources may increase. The unintended effects of climate policies are a further source of risk that will increase if climate adaptation and mitigation policies are more broadly implemented without due care and attention to consequences and negative spin-offs. The best and, long term, the sustainable way to diminish the threat posed by these climate-fragility risks is to slow down climate change by reducing carbon emissions. That’s the task for December’s climate summit in Paris – formally, the 21st Conference of Parties to the UN Framework Convention on Climate Change. But changes to the climate are already underway, so there has to be a separate and additional response to climate-fragility risks, starting now and carried through for – in the best case – some decades at least. Three key sectors require action – climate change adaptation, development and humanitarian aid, and peacebuilding. But single sector action won’t work against compound risk. Virtually by definition, integrated approaches are necessary. Further, the problem faced does not respect national boundaries and is in any case too big and too complex for a single government to handle, so the response needs also to be internationally cooperative and coordinated. A response to the vicious cycle contained in each of the seven climate-fragility risks will not work if it relies on responding to each crisis as it arrives. What people in the hardest hit countries need is assistance in mounting and implementing a long-term and sustained preventive response. That’s how we move from managing crises to avoiding them. Climate change adaptation plans rarely address fragility and conflict comprehensively. Development and humanitarian aid does not routinely take account of the need for climate-proofing and still has problems absorbing conflict sensitivity. Peacebuilding similarly tends to leave climate change aside as somebody else’s problem. Within G7 member governments, remember that integration begins at home and make climate-fragility risks a central foreign policy priority. Improve coordination among G7 members by coming together for a new dialogue. Set the global resilience agenda by bringing the new integrated approach to global and multilateral discussions and institutions. Extend the dialogue by listening to and working with a wide range of actors, including in countries affected by fragility. Recalibrating development strategies and international development assistance so as to give greater priority to building local resilience. There is, then, no real difficulty in identifying what action to take and how to do it. The likely objection to the list of action areas is only that it is incomplete. The challenge is, how to start? It is not exactly a clarion call for path breaking action. It lacks the necessary political juice. But it is an open invitation to keep pressing. The first part of the case – that there is a major global problem – has now been made and is grounded in solid evidence. With this, virtually as a corollary, goes the second part of the case: business as usual is not an option, change is needed. The third part of the case – there are many things that can usefully be done to alleviate and manage the compound climate-fragility risks – has also been made. It is the fourth part of the case – now is the time – that has to be made and has to persuade. Let’s get to it. This entry was posted in Climate change, Conflict & peace, Resilience and tagged adelphi, Climate change, climate conflict, COP 21, disaster risk reduction, EU Institute for Security Studies, food security, fragile states, G7, human security, International Alert, transboundary water disputes, UNFCCC, Wilson Center. Bookmark the permalink.